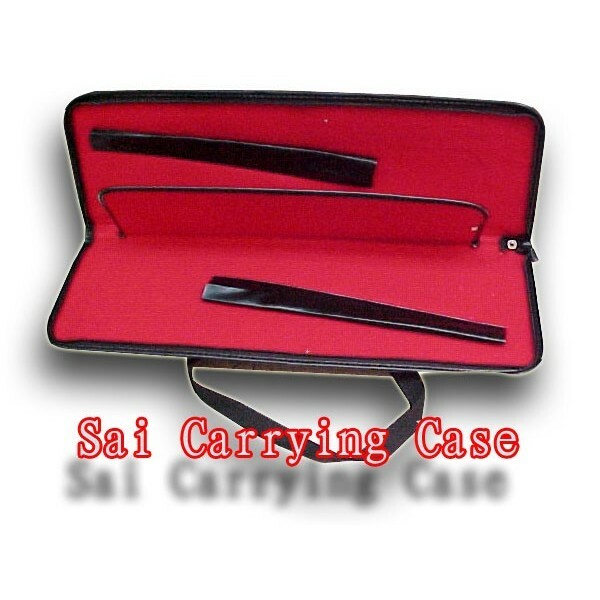 Sai Carrying Case - Bok Lei Po Trading Inc.
Sai Carrying Case-One size fits all. Carry all sizes sai from 15" to 21". this ia an excellent carrying case for transport and protect you sai. It holds one pair of sai. Black vinyl outer casing with red felt liner on inside. Zipper closre and two carrying handles.